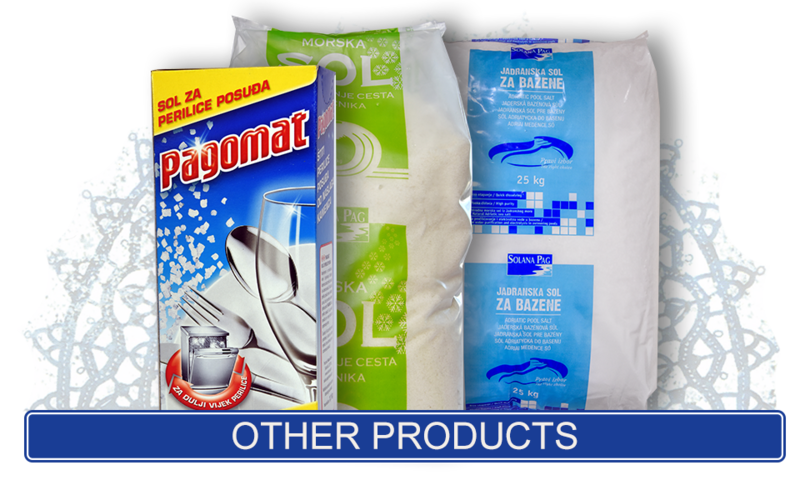 In terms of its chemical properties, Pag sea salt is similar to other sea salts, but based on its appearance, purity, granulation and the shape of its crystals (regular cubes), non-astringent flavour and uniform quality, it differs from all other sea salts. 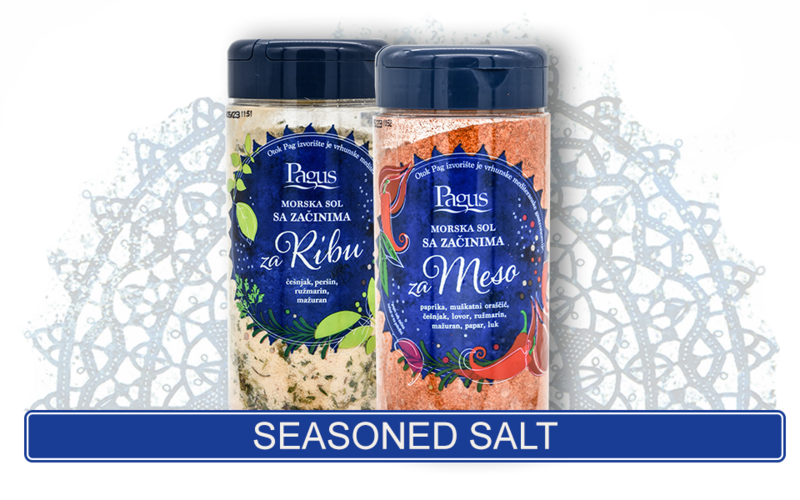 The blossom of salt or Fleur de Sel is the highest quality salt. As seawater vaporizes in shallow salt pools, it creates the first drop of salt that is collected manually, and it is the salt flower. The salt blend has more calcium and magnesium. Solana Pag is one of the oldest on the eastern Adriatic coast, whose first mention of chronicles was recorded in the 10th century. The traditional way of producing salt by natural evaporation is abandoned by building a salt factory. Today, "Solana Pag" together with its soles and pools of vaporizers spreads on the surface of about 2 million m2 and is together with nine magazines and factory-driven space the largest production facility in Croatia. The island of Pag has always met special conditions for sea-salt production. The local micro-climate, the high number of annual sunny days, constantly blowing winds, bare stone and very meagre vegetation all together create a unique landscape. 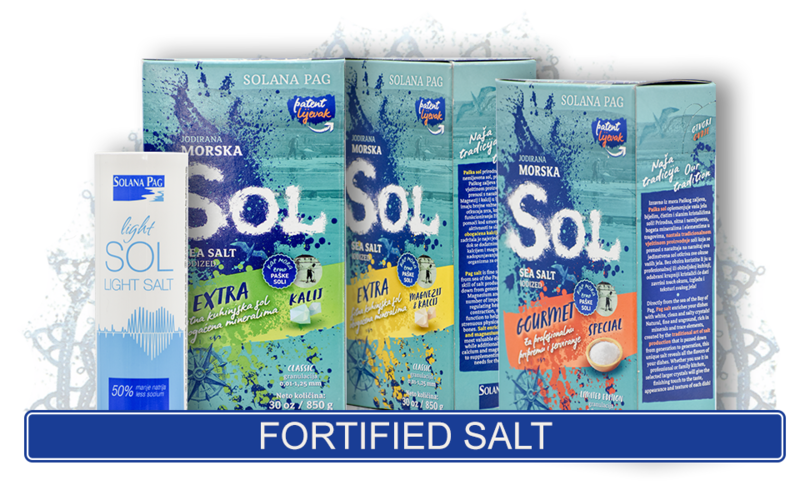 Solana Pag is the largest producer of sea salt in Croatia, and its operations are based on a thousand years of tradition in salt production on the island of Pag.. 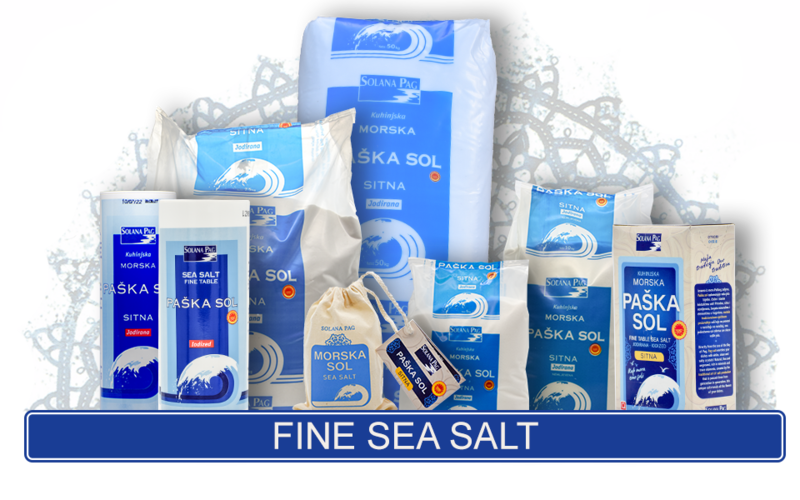 The seawater in the Croatian part of the Adriatic has salinity of 3.5 B°, which means that 1 m³ of seawater contains approximately 30 kg of sea salt. 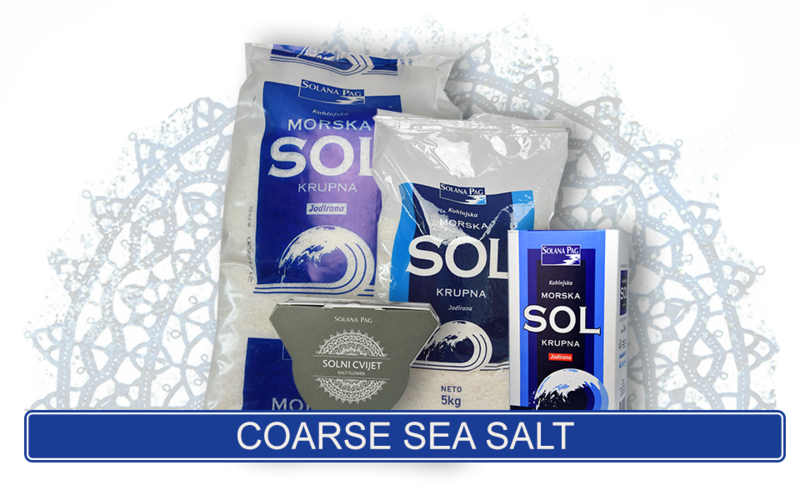 Besides salt, the seawater contains 50 different minerals vital to the human body for its normal functioning. Thanks to its geographic position, Pag’s inlet is exceptionally suited to salt production. There were many salt pans on the island of Pag until the onset of Venetian rule in 1409. Besides the salt pan in the town of Pag, the only one to survive anywhere in Venetian Dalmatia, there were salt pans in Dinjiška, Povljana, Vlašići and Stara Novalja. There were dozens of salt pans all down the eastern Adriatic coast, but Venice eliminated them all except for the one in Pag, which is today Solana Pag. The first written data on actual salt production in Pag dates to the year 999, when it was mentioned in a will. Thereafter, data on salt pans in Pag were often mentioned in wills and other documents. This was a time when salt was valued as white gold. 1 kg of salt had almost the same value as 1 kg of gold. - Production program Solane Pag d.d. - What is the recommended daily allowance of salt? - How much salt is there in all of the world’s seas and oceans? - How much salt does the human body actually contain? - Salt is used as a preservative! - Salt is crucial to aviation! - How much salt is consumed in the US?